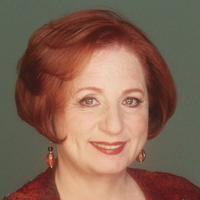 Carol Weisman, president of Board Builders, is an internationally known speaker, author, trainer and consultant who specializes in volunteerism, fund raising and governance. She has worked with a wide range of clients, and has personally served on 28 boards and been president of 7. Carol began her professional career working with gangs, a marvelous background for working with boards. She found the gangs better organized, with clearer expectations and a solid leadership training program. Although she doesn't recommend any fundraising that would end in incarceration, the gangs certainly had some "creative" ideas. She has published extensively on governance and volunteerism and is the author or editor of Secrets of Successful Boards: The Best from the Nonprofit Pros, Build a Better Board in 30 Days: A Guide for Busy Trustees, Secrets of Successful Retreats and Secrets of Successful Fundraising, which is the first nonprofit management book ever to be selected by The Book of the Month Club. Carol won a Telly Award for her PBS special "Building a Board with a Passion for Mission." She is still trying to figure out how to mount her award on her car. The Carol Weisman story has not yet been cast, although both Sharon Stone and Henry Kissinger are hoping to play the title role. Carol has a Master's Degree in Social Work from Washington University in St. Louis. She was a pediatric oncology and hematology social worker at St. Louis Children's Hospital and Children's Hospital National Medical Center . For wonderful tips on working with boards – and for guaranteed laughter – visit Carol’s Web site at www.boardbuilders.com.